•Season the steak on both sides with the blackened seasoning. •If in the oven, broil the steak for 8-10 minutes depending upon the cut of steak and your desired temperature. •Place the lettuce upon the plate. •Top it with the cucumbers, tomatoes, red onions, and sliced boiled egg on the side. 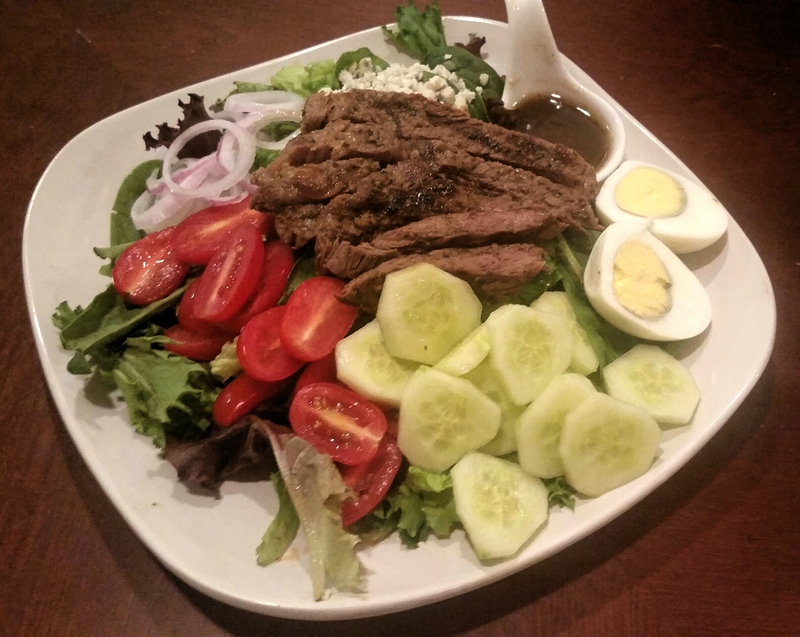 •Place the steak on top of the salad.